10900LF is rated 4.3 out of 5 by 38. Rated 5 out of 5 by Kenc from Easy To Install I bought and installed on 02/28/2019. It works well. 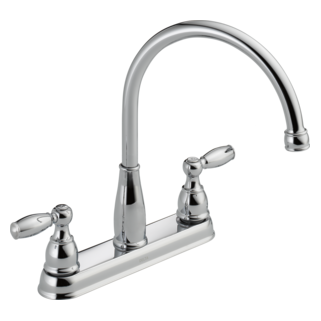 Rated 4 out of 5 by Johnb461 from Best faucet for my plumbing. 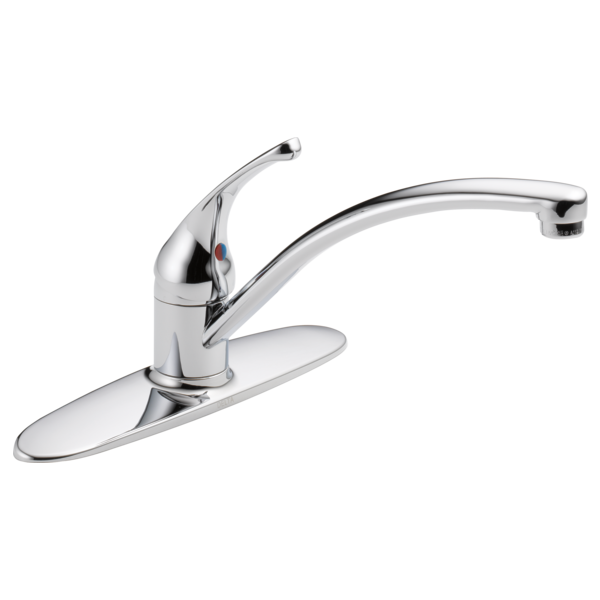 Best faucet for the plumbing i have. Wanted a more expensive, more durable model, but connections were old style. Works good so far. 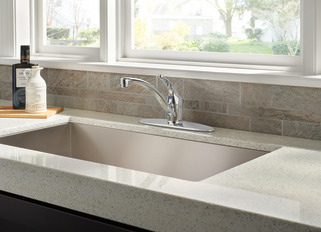 Rated 5 out of 5 by Gina from Great Faucet I've had this installed now for a couple weeks. So far, so good. Easy installation. Rated 5 out of 5 by Mark from Easy installation! Works great. Looks good. Rated 2 out of 5 by William from Not sure what happened. While at Lowes I purchased this single handled faucet in July 2017. Fit and finish appeared very good. Some months later it started leaking where the spout and ball assembly cap meet. Installed new O-rings and ball gasket. Noted the valve assembly to be a resin product instead of brass. Reassembled. Still leaked. Tightened adjusting ring. Leak is be intermittent based on the position of the ball stem. Tightened adjusting ring with limited success. Over time leak has gotten worse. So now less than 1 year later I replaced the ball stem and another ball stem gasket. Still leaks despite adjusting ring tension. So my mistake. I should have taken it back last year. Don't know what the problem is. Perhaps the resin constructed valve is distorting under tension. Perhaps the small o-ring around the ball stem guide pin is defective (no replacement is readily available). 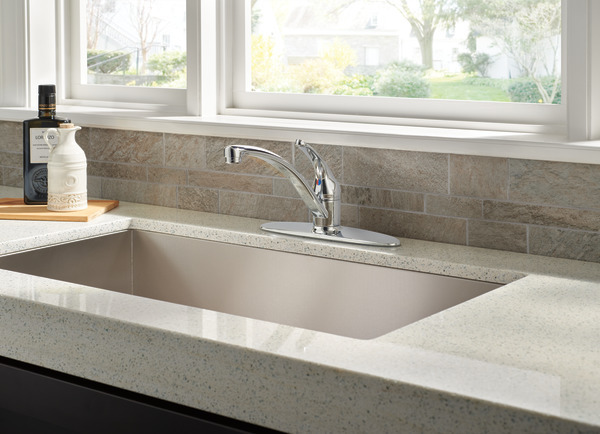 At any rate an inexpensive faucet appears to equal a loss in reliability. Will be looking at other options and brands. What is the length and width of the base? 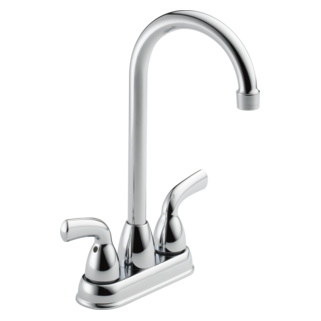 Will this faucet set allow an existing Delta hand sprayer to tie into the system? Where can I get a hose adapter that fits this faucet? Can I buy a replacement handle for this faucet?